Trying something for the first time can be both challenging and rewarding. People are often afraid to try new things in case something goes wrong, but the rewards we get from overcoming these fears can be worth the risk. 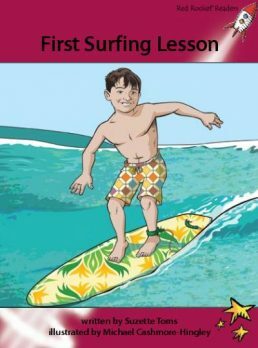 In this story a boy is learning to surf. He finds the waves and deep water scary, but once he is successful, he experiences something very special and memorable.